Remove pan from oven and place on stovetop. 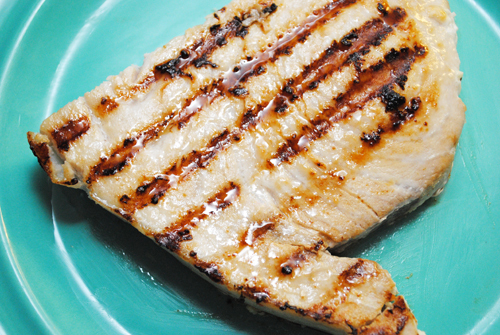 Place the swordfish steak in the center of the pan. Spread 1 tsp. of mayonnaise on top of the steak and sprinkle with 1/4 tsp. salt. Return pan to oven and broil for 5 minutes. Remove pan, flip steak, and spread remaining 1 tsp. of mayonnaise on the cooked side of the steak, sprinkle with remaining 1/4 tsp. salt. Return to oven and broil for an additional 5 minutes. Remove from oven and check if fish is done, it should flake easily with a fork.